Nick Marsan, president of the Westport Uniformed Firefighters Association Local 1081, stands in front of fire engine number four at the Saugatuck firehouse on July 25. 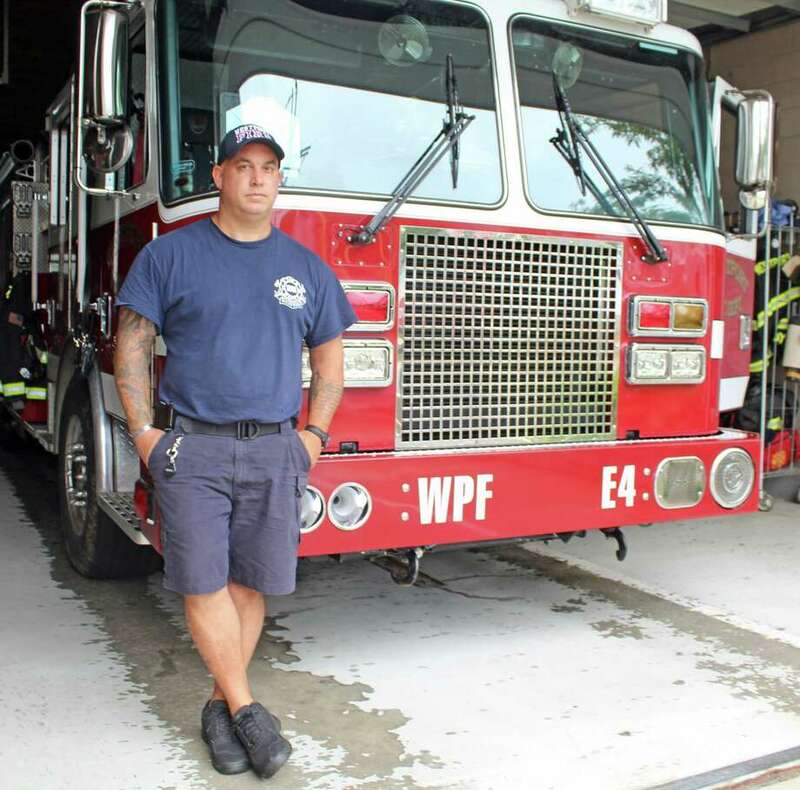 WESTPORT — A month after town firefighter Nick Marsan sent an open letter to residents saying low staffing has left the department unable to protect residents, he has been denied a meeting with town officials to discuss the issue. “What kind of elected official would not want to have a discussion about safety?” Marsan, president of the Westport Uniformed Firefighters Association Local 1081, said. On May 31, Marsan sent a letter to First Selectman Jim Marpe asking to reopen the union contract and renegotiate staffing levels because two of the town’s fire houses — Greens Farms and Coleytown — have two firefighters when they require three. A study of the fire department commissioned by the town and completed by Matrix Consulting Group in September 2017 confirmed the need for three firefighters at each station, Marsan said. “The two-person staffing of Station 5 (Greens Farms) and Station 6 (Coleytown) is not sufficient for the risks present in the areas served by these stations,” the report reads. In the report, Matrix recommended Westport increase daily staffing at each station to three firefighters, at an annual estimated cost of $593,283. The Representative Town Meeting approved a new contract with the firefighters union in March that did not include increased staffing for the department. Milford-based Attorney Floyd Dugas, of the firm Berchem Moses, represents the town in areas of municipal labor and employment and wrote a letter to Marsan on June 12 in response his letter to Marpe. “The Union raised the issue of manning in negotiations, thus, it cannot be raised at this time,” Dugas wrote, adding Marsan did not raise any subjects that would compel the town to re-enter bargaining with the firefighter union. “I stand by attorney Dugas’ response,” Marpe said, adding if Marsan has a concern, he should make a report through the chain of command at the fire department, headed by Chief Robert Yost.